FYI, more updates will be written into this book as rule adjustments are made. This is the most up-to-date rules document on the planet. We recommend you put a link to it on your electronic device for quick updated info. This rule book can be printed for easy reference however, hyperlinks within the electronic version of the rulebook to videos that assist in explanation of the rules and rule changes. The NFHS (National Federation of High School) rule book with govern Folkstyle competitions with the modifications listed in the above link. The purpose of this page is to provide officials, coaches and the athletes of USAW with the most up-to-date rule modifications. As we all know Greco and Freestyle rules are frequently modified to improve the dynamics of the sport. This can be frustrating to officials and coaches. We must remember that sometimes these changes are experiments to see if the new rule will enhance the sport for the athlete and the spectator. The more the sport of wrestling adapts to current trends, the more it will continue to grow and attract participation. As much as possible we will also provide an embedded video link to demonstrate the change. To the right you will find the USAW rules document which is updated frequently to reflect the most current USAW modifications. It is intended to be a quick reference but does not supersede UWW rules, or interpretations of a clinician at a specific tournament. There are also videos that cover the basic rules of wrestling with a focus on the point scoring in each style. It provides visual affirmation of rules and situations. This should be the "go to" rules source for USAW officials and coaches. This link is for officials, coaches and athletes to submit rules questions to Category I USWOA officials. Remember this is just one more point of view that is offered depending on the description of the action or rule interpretation. It is not an attempt to "second guess" the officials on the mat. He/She may have had a completely different angle of view and perspective of the action. We also invite the writer to submit short video clips of just the action in question either by attaching to this email account or by submitting a link to a YouTube video. We are especially interested in "Kid" wrestling situations. 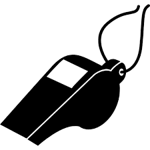 If you as an official have given a yellow or red card to a coach at a tournament please click here and fill out the attached form. If a coaches name repeatedly appears on this list disciplinary may be initiated. ©2019 USWOA / SportsEngine. All Rights Reserved.